The famous Red Bull Music Academy, has been active since 1998. Within that timeframe, the organization has held workshops, shows, and lectures from industry professionals all over the world. Seventeen cities and counting have hosted the academy, and with it, have also been witness to some of music’s most exciting new artists. It’s an event that brings together different genres and personalities, and allows pure, uninterrupted creativity. 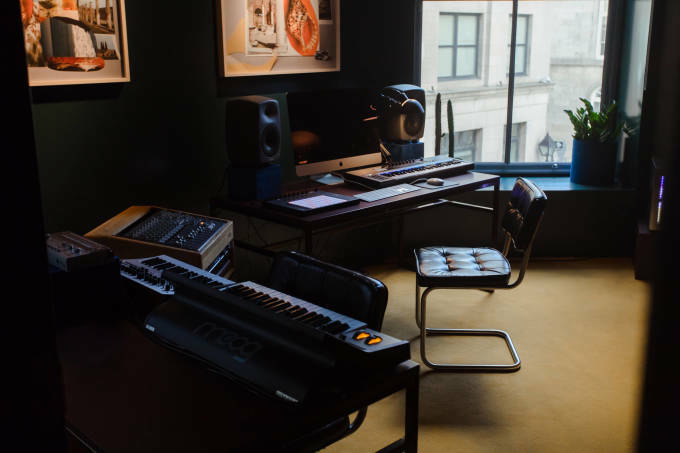 Participants are given top-notch studio space, all of the instruments they require, and are given a entire term to hunker down and make music. The only caveat is that participants must sit through daily lectures. This isn’t a downside when guests like Dev Hynes, Greg Phillinganes, and Alex Tumay, decide to come through and offer their guidance and wisdom. For many of the participants, the academy offers a chance to explore the world. Acts with humble roots are given a new atmosphere to write and perform, helping to motivate and realize their artistic outlet. In our recent interview with academy regular, Thundercat, the Grammy award-winning bassist said that it’s a true opportunity to aid musicians. “It’s been inspirational throughout the years to be here, because you get to see that it’s a proper environment for creative energy. RBMA cultivates this idea of getting to the good part”. We were able to visit Red Bull Music Academy’s 2016 edition, held in Montréal’s historic downtown district. For a month, RBMA took over Phi Centre, and transformed it into a multi-level music hotbed. Inside the hub, 70 international participants worked together, incubating and delivering music to the world - all while learning to reach their craft’s full potential. It was an inspiring atmosphere, and speaking with attendees, they shared the same excitement. “As soon as I arrived here, I was impatient to begin working,” said Parisian producer Ok Lou. “I’m very excited to work with the other participants and just all of the instruments”. 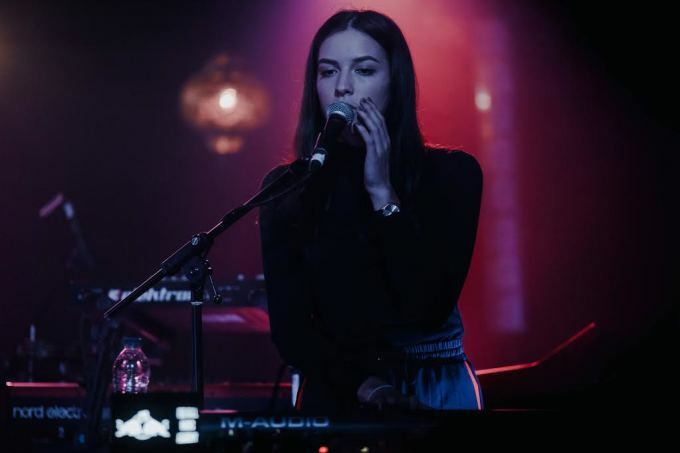 The electronica artist had little time to practice in the studio, as she was offered the chance to open for Sampha during an academy showcase. The month-long event places its participants into situations they would have otherwise been hard-pressed to achieve. Ok Lou has a growing audience in her homeland of Europe, but coming to Canada was an incredible happening. “It has been a true dream for me to come to Canada”. For Daudi Matsiko, reaching Montreal was a self-made opportunity. “I’ve known about the academy since 2008, but I hadn’t thought about it for a while. I’m not very tech-savvy. During a show, my manager told me to do it, and I pulled an all-nighter to submit the application”. According to Matsiko, the participant form is like nothing else. “It was like 30 pages, everything is hand-written and you have to send it through snail mail. One of the questions was to draw your place in the music industry”. It was worth it for the British folk artist. “I love the MO of the academy - putting young artists with behemoths to learn new things. If you can be put into a room with a brain you trust, that is huge for your development as an artist”. Ok Lou and Daudi Matsiko were only two of the many attendees this year. A quick walkthrough of Phi Centre, and the remarks were similarly glowing. For participants, the Red Bull Music Academy was a special moment in their musical journey. While the next city and venue has yet to be announced, it’ll carry on and leave yet another positive mark. In the meantime, the whole event has left the city of Montréal feeling rather inspired.